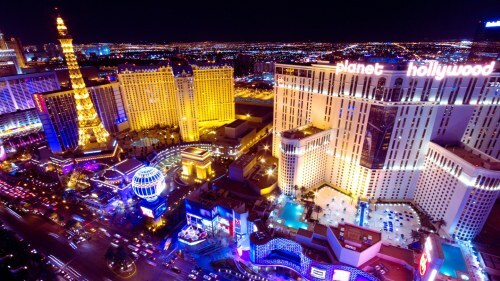 Delta has dropped the price of their 1-stop flights from Toronto to Las Vegas down to $235 CAD roundtrip including taxes. Phoenix is also available again, for $245 CAD roundtrip including taxes. See this blog post for details. As with all of the Delta drops recently, the availability is very wide, with a large number of dates between mid-October 2016 and August 2017. 2. Click on the departure date box to open up the calendar view and try other dates In 2016 and 2017. 3. Select your flights and click through to the Delta website. screenshot from the Delta website. These are also available in reverse for about $30 more, if you know anyone in Las Vegas that would like to visit Toronto. toronto, yyz, flight deals, united states, las vegas, nevada, las, delta and north america. 5 Responses to "Toronto to Las Vegas - $235 CAD roundtrip including taxes | wide availability"
Is that a bonus or a warning? Deal appears to be pulled as of noon on Sept 29. This one is gone, it was around for about a day.